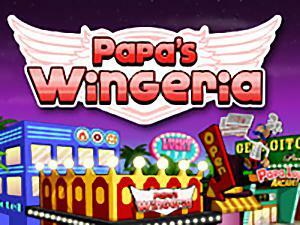 Welcome to Papa’s wingeria, the newest restaurant in Papa’s cooking game! This time you will be chef in the city’s famous fried chicken restaurant, you will keep your fastidious customers by serving quickly and exactly what they require. Have customers ordering, fast menu, fried kitchen fried chicken leg and fried, Chicken and island are all arranged in a beautifully arranged disk.